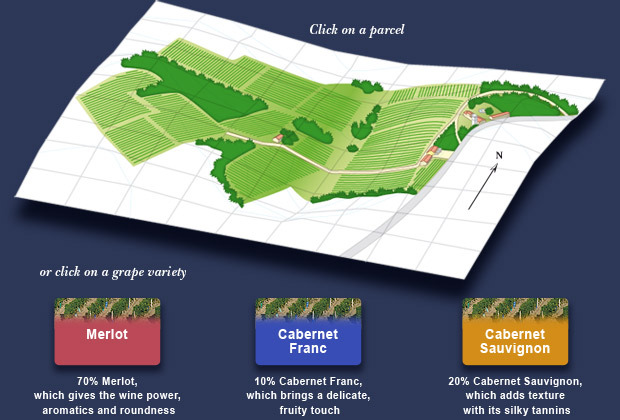 The vineyard has a total area of 8 uninterrupted hectares, covering gravel plateaux and clay and limestone hillsides. The 11 plots all benefit from meticulous monitoring. The vine are 30 years old on average, with a planting density of 5.500 vines per hectare. 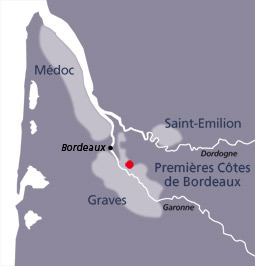 The 13 hectares of the estate, located on the right bank of the Garonne 15 km from Bordeaux, are in the heart of the “Premières Côtes de Bordeaux” appellation. The proximity of the river plays an essential part in the climatic balance necessary for vine growing. The south-south-west exposure ensures a maximum amount of sunshine.